Truth be told, there’s a lot more to it than picking up the phone and randomly targeting members of the public. Data protection is a hot topic, especially in reference to the rights of individuals and how we deal with their personal information. 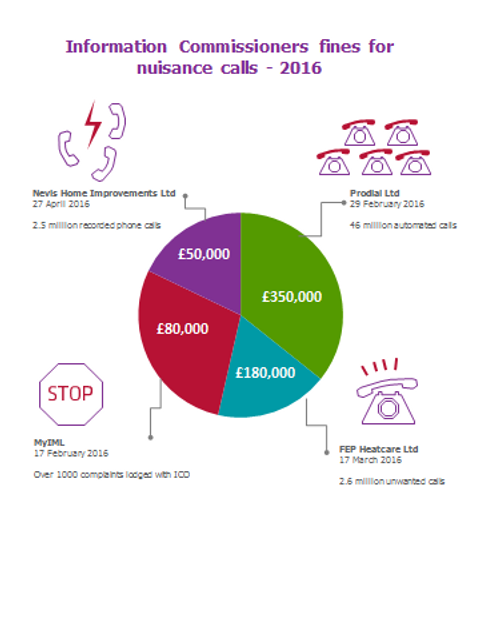 The attached article describes the circumstances that led to the Information Commissioner issuing its largest fine to date: £350,000 to a Brighton based company called Prodial Ltd. In essence, this company made over 46 million automated calls to individuals, without their consent, and often with no opt-out option. It also appears that the personal details of some of the individuals were passed to claims managements companies. The ICO received over 1000 complaints against Prodial. The company, which operated from a residential property, entered into a voluntary liquidation process when the ICO began investigating their activities. The Information Commissioner, Christopher Graham, said "This is one of the worst cases of cold-calling we have ever come across. The volume of calls made in just a few months was staggering. This was a company that knew it was breaking the law … we want to send a clear message to other firms that this type of law-breaking will not pay". The ICO's fines for companies breaking the rules are increasingly substantial. Take a look at our infographic below for some of the most recent, pretty stark examples. To avoid falling foul of the rules, the ICO suggests that you always say who is calling, allow your number (or an alternative contact number) to be displayed to the person receiving the call, and provide a contact address or freephone number if requested. It’s clear that the consequences of not handling your tele-marketing activities correctly can be detrimental to your business. The good news is that you can prevent this problem in your own business by following the ICO's detailed guidance on direct marketing practices for businesses, which can be found here. If you’re worried about your own tele-marketing activities or anything that you might be planning to do, you can always get in touch with us for a friendly chat or some further guidance about how to resolve this situation effectively.